Accomplice Bar in Mar Vista first made it onto the go-to list of LA cocktail lovers thanks to Gabriella Mylnarczyk's fun drinks. But even though she recently left the bar, the cocktail program is still going strong thanks to the great bartenders there that collaborated on the latest menu. 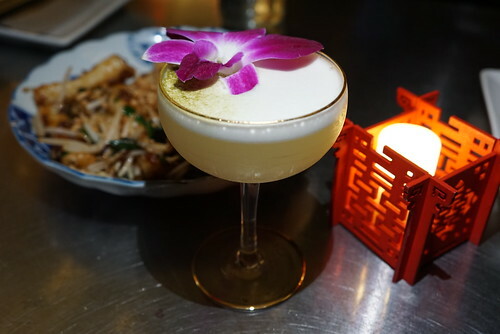 Some of my favorite drinks from the current menu include Matchamaker (rice washed Kikori whiskey, yuzu liqueur, coconut rum, matcha, aguafaba). It's a tropical whiskey sour that had a pretty complex flavor profile! 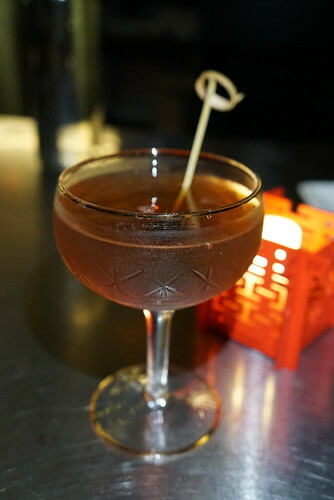 Red Hook (rye, punt e mes, maraschino) is a great drink for those who prefer a more spirit-forward drink. It's nicely balanced. 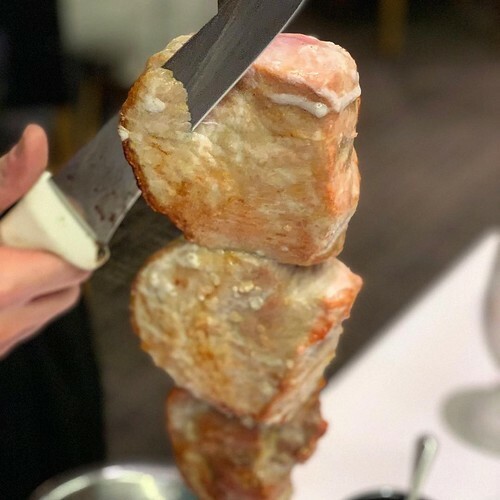 Among the new menu items is the pork picanha. 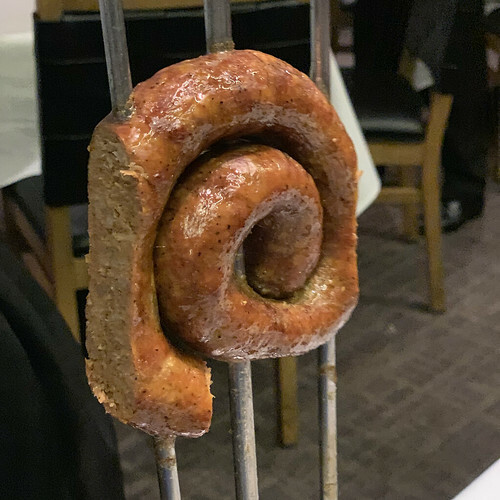 This is pork that's been prepared the same way as Fogo's picanha (one of their best meat items, if you ask me). There's also linguica, a lightly spicy pork sausage with garlic, red pepper, and onion. Despite the long-standing status of The Grill on the Alley (30 years! 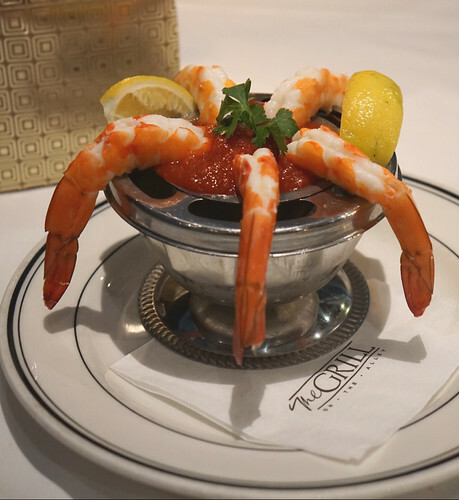 ), especially the original Beverly Hills location, I actually have not dined there until recently, when I was invited for a lunch at the Westlake Village location. The Grill on the Alley is a white tablecloth American steakhouse, so naturally we started lunch with some shrimp cocktails. Leave it to The Grill to get some fresh jumbo shrimp. Sometimes shrimp cocktail sauce is too tangy for me, but this one was nicely balanced. 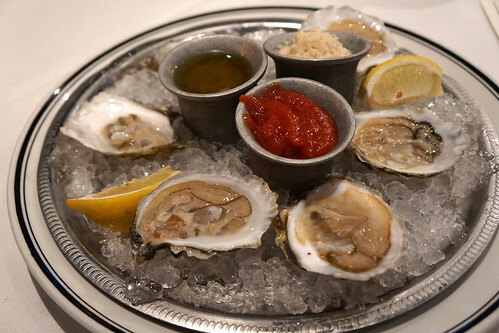 We also got some oysters on the half shell. 20th Annual Taste of Allston on June 24 + GIVEAWAY! Questions, comments, feedback? Want to advertise on my site? Contact me at gourmetpigs@gmail.com.